At one time an exact match domain name (EMD) was a great way of getting a quick listing and good ranking position for your web pages or blog. However, much has been written lately about Google now penalizing exact match domains and regarding the tactic as being somehow underhand. The reason Google took a careful look at exact match domains was that some people were buying a domain name that was an exact match to the keyword they wanted ranked for, and then filling it with scraped and low quality content. Due to the heavy SEO weighting given to an EMD at that time, such pages were getting much higher rankings than their content warranted. In order to tackle this issue, Google recently changed its ranking algorithm to provide a significantly lower weighting to EMDs. The result was that the poorer sites and blogs disappeared from the rankings overnight. Rather than being listed on Page 1 of the search engine results they might appear on page 5 or even languish unseen down in the supplementary results. This was regarded by those involved as a ‘penalty’ for using an exact match domain name, while it was actually nothing of the sort. The page was simply receiving the ranking position its content deserved. That is the situation as it stands now. If you are blogging on the topic of red widgets, then a domain name containing that term will be fine. You will not be punished or penalized for using it. However, it will no longer be a fast-track to a high ranking listing for the search term ‘red widgets’ – but it will help. You will have to do more to earn your ranking position. The real issue with EMDs lies in Google’s problem with over-optimization and excessive on-page branding. While Google’s focus was on providing its users with a good search experience by offering them a variety of pages containing diverse information relevant to the search term or keywords they used, the page owner’s objective was to get a high ranking. These conflicting objectives involved on the one side a focus on relevance using statistical formulae (algorithms) to establish that relevance, and on the other side a focus on playing these algorithms to attain a high mathematical ranking based upon quantity of markers rather than quality of content. SEO techniques enabled a webmaster or blogger to include markers that would be detected and counted by algorithms and help that page or post to be listed in a prominent position for specific search terms (keywords.) As competition for ranking position heated up, content became over-optimized and relevance was artificially incorporated in the form of keyword stuffing and excessive use of keyword-rich anchor text used in on-page links. Panda and Penguin between them dealt with much of this SEO gaming. Panda tackled the issue of poor quality backlinks while Penguin targeting overuse of keywords in anchor text and brand promotion. Exact match domain names were viewed as another way of gaming the system. Rather than punish EMDs in the same way that keyword stuffing was punished, their relevance was marked down so that they had less of an impact on ranking position. While the Google Penguin algorithm updates hunted down overuse of exact match or keyword-rich anchor text, initially on the homepage and subsequently on internal pages, the Page Layout algorithm tackled excessive use of advertising above the fold. All of this was designed to improve Google as a search engine and increase its share of online searches. Do Exact Match Domains Still Benefit Me? ➨ An EMD is still a ranking parameter and can make a difference to your search engine results position. ➨ Your visitor can see immediately what your website is about. If somebody is looking for red widgets, and sees a URL containing the domain name RedWidgets, guess where he will go! ➨ You may be seen as the dominant site in your niche. ➨ Your brand will be the same as the main keyword for your product so easier for clients to remember. ➨ Exact match domains are more likely to be displayed on internet searches. ➨ When people use keywords they are also using your website name. ➨ Less chance of potential visitors misspelling your site. There are many others, but these are sufficient to show that an exact domain name is a good idea. However, always keep in mind that Google is still looking for everything else it requires before you will receive a top ranking. You still need interesting, authoritative, well-written content, and you still need backlinks and mentions on social sites. An EMD is not enough on its own. It may have been at one time, but not now! 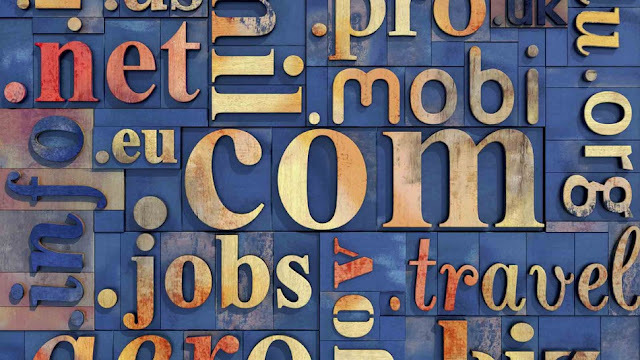 ➨ An EMD can cost more than a more general domain name. You might be lucky and find a good 2 or 3-word name for your site, but most have been snatched up and have to be purchased privately from its owner. ➨ Can confuse people between your brand and the keyword. ➨ Social media mentions can also be confusing: are they referring to your site or a keyword? ➨ They are limited to the major keywords for your product or service, so there are not many of them around that would suit your site. ➨ Finally, it limits the scope of your site to that niche and could limit the expansion of your brand in the future. People searching for blue widgets will not click on a red widget domain. This last point is probably the biggest limitation of using an exact match domain name. It is no good for gateway sites and broad scope blogs, but is perfect for a narrow niche. If you have a series of mini-sites, each with its own domain name, then an EMD for each would be perfect. There is no exact match domain name penalty! Just as there is no Google duplicate content penalty! Google reduces the effectiveness of EMDs just as it reduces the effectiveness of multiple publications of the same content. Who Should Use an EMD? Imagine if Amazon had called itself ‘bookstore.com’. It would forever have been associated with books! Although Amazon started off life as an online bookstore, it has developed into one of the world’s largest online stores for just about everything other than groceries. It would have been very difficult for Amazon to have done this with the domain name Bookstore! You should avoid restricting yourself with an exact match domain name if you want to expand your business in the future – perhaps into fields other than the niche you are currently in. Keep in mind that ‘exact match’ refers to the keyword used by the person carrying out an online search. ‘Bookstore.com’ would not appear to somebody searching for cell phone covers! If you are in a narrow niche, selling a specialist product or service, them an EMD might be ideal for you. In fact, as you sell other specialist products, you might prefer to offer each one its own exact match domain. In some cases, you might even be able to use subdomains for this, so you would have no need to purchase an expensive domain name that somebody else already owns. Thus, redwigets.mydomain.com might work better for you in some cases than just mydomain.com.